My name is Ann Burt. I was born in Camborne and educated at Truro high School. After training as a teacher I taught in the area before marriage, at Gwithian Church, to Nick, a Camborne School of Mines Graduate. We subsequently worked in Canada before returning to the UK. I then continued to teach for 20 years while bringing up our two children. We have owned a “hut” at Gwithian Towans for 40 years where we spent every holiday with our two children. Now retired, we live there in the Summer – retreating to Upton Towans for the Winter. As a singer I have always been involved in music and serve on the committees of Wall and Camborne music festivals. With our family we enjoy the varied activities this parish offers. 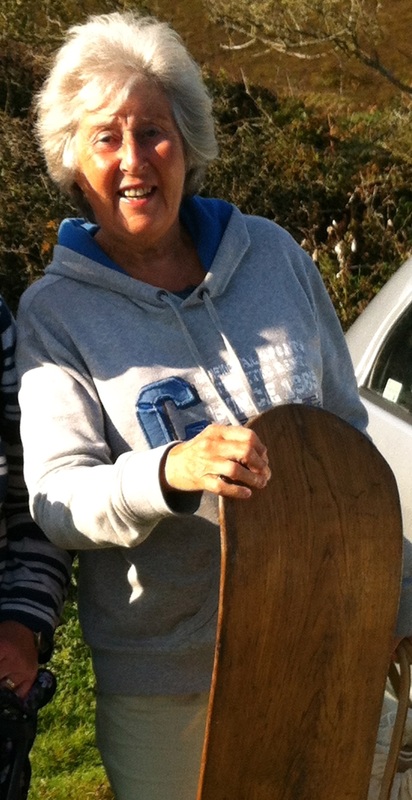 Upholding the Gwithian tradition, we all bellyboard using wooden boards, and swim in the sea from April to October. I am pleased to be able to give support to the local community. I hope to be able to use my local knowledge of the area to preserve, in this time of change, the beautiful varied environment which we all appreciate. I am aware of the need to maintain a balance between the needs of residents and the ever increasing number of tourists to the area.